A couple of people online have mentioned these hidden names – apparently they were also featured in a BBC TV show called Map Men in 2004-5 – but nobody appears to have created images or a list of all the names. So I’ve gone ahead and done it. Click the image to see the location on Streetmap. These images are screenshots from the Streetmap website, which I’ve scaled up by 200% using a pixel-art scaling algorithm. The results aren’t brilliant, so I thought about scanning an actual copy of the paper map instead. However, when I looked at my copy of the map, I found that most of the names are not there! Only Bill and Trev are present. 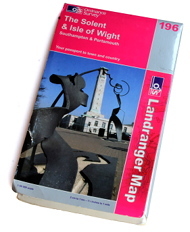 Now, my physical copy of the map is copyright 2006 (Edition D2). Does that mean that Streetmap are using a version of the map (the one with all the names) which is over 11 years out of date? I assume that Streetmap are using a newer version of the map. In fact, I’ve just had a look at the online map on the Ordnance Survey website, which I would assume is the most up-to-date version, and it has all the names on! So all the extra names must have been added to the map since 2006! I suspect these are a form of “Trap Street”, where the map maker adds features to catch out people who make unauthorised/unacknowledged copies of the map.